The Witcher 3: The Wild Hunt: I Will End You, Eredin. 4 years; that’s how long it’s been since the last instalment in The Witcher series. Back then I felt The Witcher 2: Assassin of Kings was a serviceable RPG though the various issues that plagued it, along with the rather mediocre story, meant it wasn’t exactly game of the year material. However that assessment was way out of line with the general public’s who lavished it with praise. It should come as no surprise then that it’s sequel received the hype it did with a dedicated fan base that was hungry for the next instalment in this franchise. Try as I did to avoid the hype the perfect review scores and relentless enthusiast press meant I knew what the community was thinking long before I first delved into The Witcher 3 and, whilst I’ll reserve my position for later in the review, I believe much of the praise is well founded. The Witcher 3 takes place immediately after the events of The Witcher 2, with Geralt free of those who’d seek to use him for their own purposes and set off to return a life that he is in charge of. Geralt has spent the majority of his time pursuing his long lost love Yennefer, chasing stories and tales of her appearance throughout Velen and beyond. All the while he’s plagued with dreams of his adopted daughter, Ciri, being snatched away by The Wild Hunt, a troubling vision that means she’s in danger. His instincts prove correct as not long after his first contact with the Nilfgaardian the Emperor sends for him and tasks Geralt to find his daughter. Whilst this comes with the reunion of Yennefer it’s short lived as they split up to follow the leads that the Emperor has found for them. 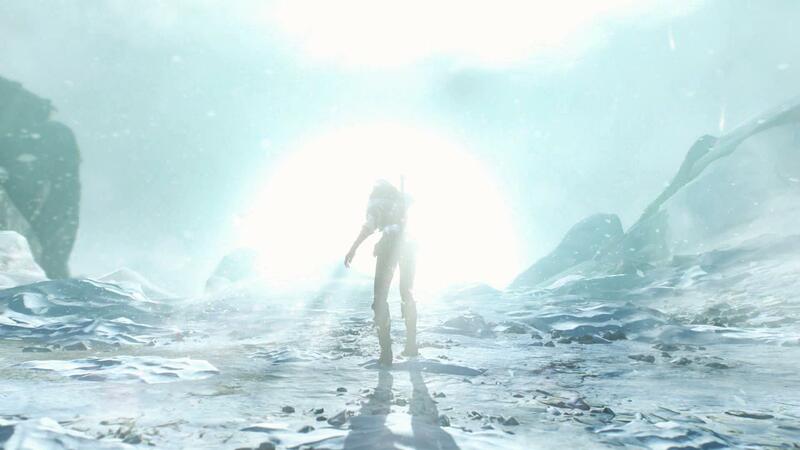 It is then up to you, dear Witcher, to scour the land for any trace of Ciri and to protect her from The Wild Hunt. As of writing there is simply no other game that can compare to The Witcher 3 in terms of graphical fidelity. I cannot tell you how many times I found myself taking a moment to soak in the scenery, marvelling at the incredible level of detail in all aspects of the The Witcher 3’s graphics. It would be one thing for it to simply be a beautiful world, ala the original Crisis games, but it’s so much more than that. The trees sway softly in a light breeze, storms can brew and then rage on with unrelenting force and fields can be blanketed in mist in the early morning as the peasants go to work in them. The world genuinely feels alive, more so than any other game I’ve played. The Witcher 3 has now set the bar to which all future games like this will be compared as it has handily swiped the crown away from Crisis as the most beautiful game to play on PC. Of course to enjoy all that splendour you’ll need to have the requisite hardware but, in all honesty, the rewards for having it are worth every dollar spent. 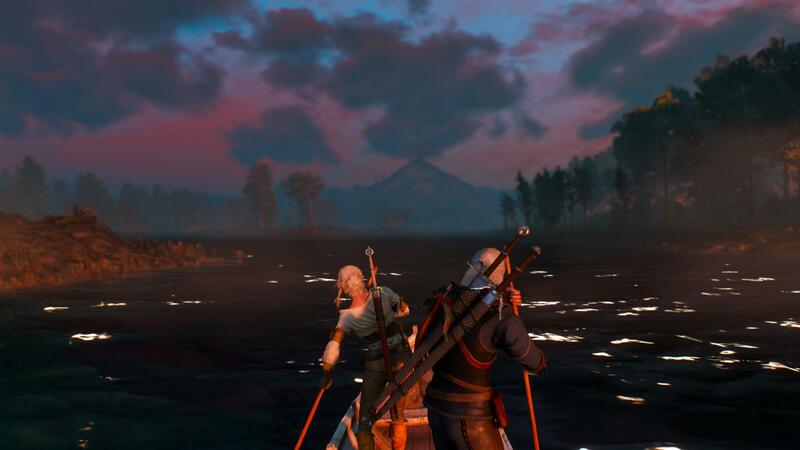 The sheer scale of The Witcher 3 is something that simply cannot be understated. When the creators, CD Projekt Red, said that it was 30 times the size of The Witcher 2 they weren’t kidding as the size of the maps is staggering. It’s one thing to create a huge world though and another to fill it with things that make it worthwhile to explore it, something which the developers have most assuredly recognised. So whilst the mainstay of The Witcher 3 might be the same 2 sword and sign combat that its predecessors championed there’s countless other things that are peppered throughout the world to keep you interested. The crafting system makes its return and includes scavenger hunt quests that grant you some of the most amazing gear in the game. Many of the various mini-games that were in previous Witcher titles make a return, alongside a new card game called Gwent that proves to be a great distraction (and potential source of income). The talent system is revamped and simplified, allowing you to craft Geralt’s abilities how you see fit. Underlying all this is the numerous storyline quests, side quests and Witcher Contracts that you can try your hand at to get better items, more gold or just for the fun of exploring the world. 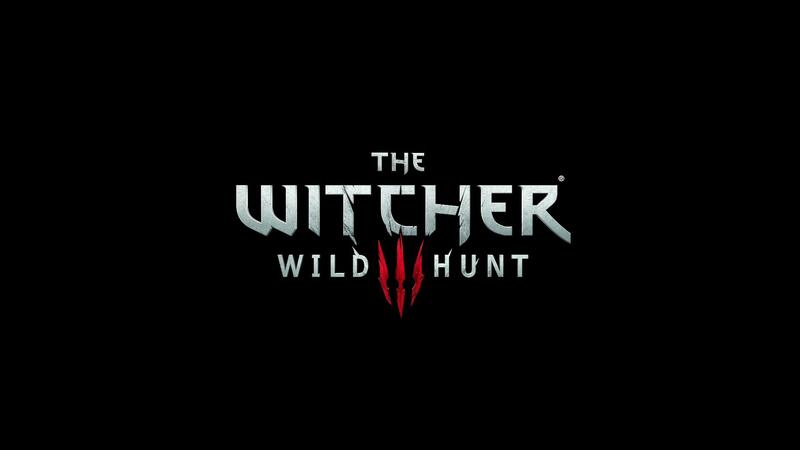 Combining this all together results in a game that can take well over 100 hours to fully explore and appreciate, something that’s sure to delight Witcher and RPG fans alike. Whilst the introduction to The Witcher’s combat system is improved significantly over the original non-tutorial that its predecessor had there’s still something of a learning and power curve to overcome before the combat becomes engaging. The combat system is somewhere between the Souls’ series of telegraphing/dodging and the usual action RPG hack and slash fest. In the beginning it was, to be blunt, incredibly frustrating however once you start to treat it like a Souls game you begin to figure out their move set, the telegraph that leads to a certain move and what you can do to dodge it. The fight that sealed this for me was the first werewolf fight which, if you don’t figure out how to dodge properly, becomes an exercise in frustration as he whittles your health down as his regenerates. After that point however most enemies were either a complete cakewalk, like any humanoid with a sword, or simply a matter of time and me whittling them down. You’d think that’d mean the challenge was gone past a certain point, and to some extent it was, however it was more that I had a bigger arsenal of tools at my disposal to recover from any mistakes. To put this in perspective I was primarily a combat Witcher, favouring the fast strikes over anything else. As you can see my build was tailored towards that pretty specifically with only a handful of points in the signs to beef up Axii (for the dialog options) and Quen (as that’s the only way to regenerate in health in combat bar consumables). Whilst at the beginning this build felt somewhat underpowered, likely owing to the balance of points I spent in 2 trees, it didn’t take long for it to really come into its own. There’s a great deal of min/maxing going on here too, like the Cat School Training which doubles your DPS if you’re wearing all light armour (which I did) and the various talents to boost up the benefits gained by adrenalin points. Probably the one skill that made the most change to how the game played out for me was the whirlwind ability which, if the first strike landed, enabled me to relentlessly wail on whomever I felt like, often shredding their health in a fraction of the time it’d take otherwise. As an added bonus it meant that I never got swarmed again as the whirlwind ability is able to strike any enemy before they get to you. Had I done similar min/maxing with the other talent trees I’m sure I could’ve come up with similarly broken builds although I’m not sure any of them would be as fun. The Witcher 3’s crafting system is as deep and rewarding as any others I’ve encountered although some of the issues that plagued it’s predecessor’s remain. You’ll find crafting materials everywhere, from the numerous fields and forests that are littered with herbs and fruits to the dozens of crafting components that drop from the monsters that you’ll slay. Whilst you can happily go along picking up basically everything in your path for a long time before inventory management becomes an issue once you hit that barrier you’re going to be forever wondering if you should vendor an item, break it down for materials or simply drop it on the ground and forget about it. Once you make your way into Novigrad you can (mostly) solve this problem by purchasing yourself a set of what I assume is the largest saddlebags in the game, giving you another 100 weight to mess with, although if you’re a confessed RPG kleptomaniac like most of us are that will just delay the inevitable. If you’re so inclined the modding scene has already come up with a solution to this issue if you’d rather not have to worry about it. However if you stick with the crafting system the rewards you get are most often far better than any other gear you’ll be able to obtain either through killing monsters or buying from vendors. The scavenger hunts, which start when you find the first schematic for one of the Witcher school’s armour (you start off with the Wolf School set, but there are 3 others available) and each are tailored to a specific playstyle. If you, like me, favour quick strikes and massive stamina regeneration then the Cat School set is for you. The Bear School is for those that like to take enemies head on and soak up insane amounts of damage. The Griffon school is the in-between set, catering for a more balanced playstyle. These sets have several versions with the improved ones requiring the previous set to continue crafting them which means the final pay off is quite an investment in both time and materials. It is completely worth doing however as each upgrade of gear means you’re fully equipped to tackle all the challenges that the next few levels will bring and you never have to worry about where the next upgrade will come from. The various mini-games are much better done this time around, being much more optional than their predecessors in previous Witcher games were. You can try your hand at a bare fisted fighting tournament that will take you through all the areas with an ultimate fight against the current world champion. You can try your hand at Gwent with nearly every vendor you encounter and, should you best them, you can take one of their cards away from them. If you’re so inclined there’s also a sort of tournament you can play with Gwent although where that leads I couldn’t tell you. There’s also a few other strange mini-games like the contract price negotiation thing, where you barter with a NPC over the cost of the contract they want you to undertake, but that’s mostly just an exercise in finding out what the maximum price has been set before you piss them off too badly. I was very thankful that these mini games took a back seat in The Witcher 3 as they felt like an inescapable tedium in the previous instalment, something which didn’t do much to endear me to it. The sheer depth and breadth of all the quests within The Witcher 3 is staggering. Quite often you’ll be riding to your next objective only to come across someone with an exclamation mark over their head and it’s impossible to tell if you’ll be done with them in 10 minutes or 2 hours. You can still do the “get all the quests!” thing that most RPGs allow you to do, stuffing your quest log with dozens of quests that you can complete at your leisure, however they all have their own level at which they should be done. Even if you’re like me and favour doing the campaign missions above anything else you’ll likely find yourself quickly out levelling most quests which, on the one hand, makes them a lot easier but also takes away a lot of the incentive to do them. However there are a certain number of them that you’ll want to go and do regardless of how far below you they are as they’ll shape the world in which you’re playing. Whilst there are only a couple options which influence the ultimate ending should you be passive in the world there are many things that might not go as you wish, sometimes stopping you from doing something you may have wanted to do. There’s also numerous encounters, caves, dungeons and other things that you’ll find on your travels throughout the world of The Witcher 3. In the beginning it’s probably advisable to stick to the roads as it’s hard to predict what level the monsters will be, however after a while it’s far more rewarding to take the straightest route to where you’re going. This is because you’re far more likely to come across a hidden stash, guarded treasure or the beginning of a quest line that could ultimately lead to something awesome when you’re traversing the country. After a while these things become somewhat secondary as the rewards start to taper off as you approach the later levels however it can still be pretty fun to stumble across a monster infested cave that triggers a quest in the nearby village from time to time, just to break up the monotony of following a single quest for so long. The original release of The Witcher 3 was, to be brutally honest, was a total mess of bugs, glitches and crashes that would make you think Bethesda was the developer. Adding the Steam overlay to the GoG version of the game caused the text to glitch out profusely and would often result in the graphics driver crashing and recovering, leaving the game running but without any video output. This comes hand in hand with numerous performance issues which no amount of twiddling with the graphics settings seemed to fix. It was only after I trudged through numerous forums, Reddit threads and useless advice posts (telling me to update my drivers is not helpful, guys) I found out that most issues stemmed from things like the GeForce Experience program or the NVIDIA Streaming Service and HD Audio device. After disabling numerous things I finally got The Witcher 3 to a state that I could consider stable and thankfully it also resolved many of the performance issues that came with it. There were still however some rather irritating glitches that persisted which just added to my frustration at times. Some good examples of these glitches were things like Geralt jumping incessantly with nothing that could be done to stop him. I tried pretty much everything I could think of from getting into combat, triggering dialogue to getting on my horse but nothing could stop his jumping. Similarly every so often my stamina bar would simply stay at zero, refusing to refill even after I had reloaded the game or another save. That particular bug usually meant I had to backtrack through saves to a point before the issue happened and then replay that entire section again, something which could result in an hour or so’s worth of lost effort. There were also numerous times where the hit detection got super squirrelly, with enemies able to hit me even though their models where no where near me at the time. Many of these issues seem to have died down in the most recent patch that was released last week however that doesn’t detract from the fact that numerous glitches still persist or that they were still present upon release. The story of The Witcher 3 gets my vote for most improved out of any series that I’ve played of late. Whilst The Witcher 2’s story felt serviceable, being above average in many regards, The Witcher 3 has had a great deal of effort put behind crafting a narrative that can evolve with the player’s choices whilst still being coherent with a clear direction in mind. Whilst the time between The Witcher 3 and its most recent predecessor likely means that the nuances of the previous story are a jumble to most of us each of the characters is given enough time to flesh out their backstory, their history with Geralt and where that might lead you in the future. Many of the ancillary characters from the previous instalment make a return and, for the most part, they’re not just a token gesture with many of them having deep quest chains that quite often have an impact on the world around you. Suffice to say that, at a base level, The Witcher 3 presents one of the most deep and engrossing narratives to cross our path in a long time. I managed to get the good ending where Ciri becomes a Witcher and whilst many sites point to the White Orchard ending as the “ideal” one I honestly couldn’t disagree more. Throughout the game Ciri makes no mention of wanting to take over as Emperor of the Nilfgaard and from the short I’ve seen of the ending it doesn’t appear like she’s all too happy with the situation, despite what she says. Apart from that however I was incredibly pleased with how everything wrapped up in the end as the side quests I had done and the decisions I made resulted in the outcomes that I had desired. There were one or two which I didn’t really remember which quest it wast that would’ve led to the outcome I got but that’s more of a testament to the breadth of The Witcher 3 more than anything else. Suffice to say whilst CD Projekt Red might say that this is the end of Geralt’s story I don’t believe they’re done with the world that The Witcher resides in at all as there’s still plenty of stories that they could follow. 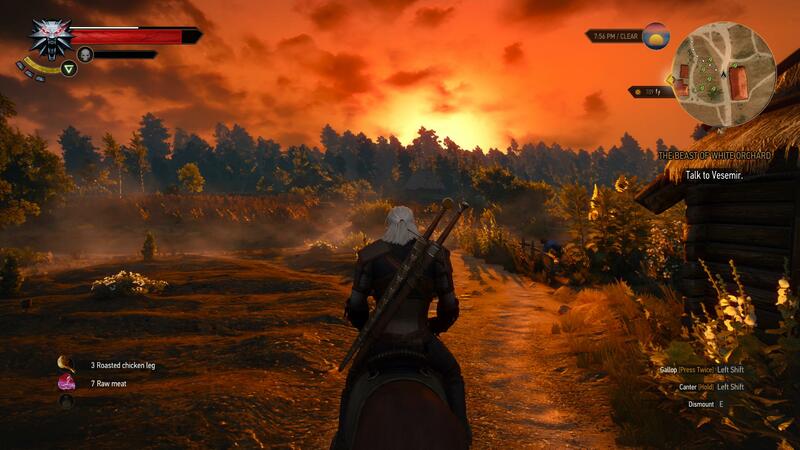 The Witcher 3 sets a new standard for RPGs, open world games and graphical marvels. The absolutely staggering breadth and depth of the world that The Witcher 3 is set in means that there’s just so much to keep you occupied that you’re never wanting for things to do. The combat system, whilst retaining its steep learning curve, becomes incredibly rewarding as you level up and learn all the tricks of the trade. The crafting system is highly rewarding. giving you a reason to explore some of the vast reaches of the earth in search of better patterns and materials to bolster Geralt to the highest levels of power. The story is a huge improvement over its predecessor, giving each character enough screen time to really build out their back story, motivations and place within the massive world. My experience was marred somewhat by the initial teething issues that the release faced but it’s a testament to the game’s underlying quality that I continued on for as long as I did. The Witcher 3 will be the game to which I compare so many others for a long time to come and, whilst I will shy away from giving it the perfect score that so many have lavished upon it, I cannot deny just how great a game it is. The Witcher 3 is available on PC, PlayStation4 and XboxOne right now for $53.99, $109.95 and $109.5 respectively. Game was played on the PC with 45 hours of total play time with 46% of the achievements unlocked.